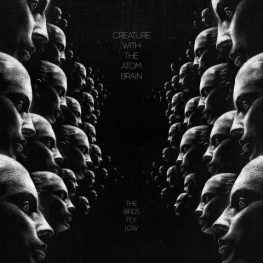 Having been formed as a one-man recording project in 2004 by Aldo Struyf in between tours with Millionaire and The Mark Lanegan Band, Creature With The Atom Brain released two 12” EPs “The Snake” (2004) en “Kill The Snake” (2005) before evolving into a full band, with the addition of Dave Schroyen, Jan Wygers and Michiel Van Cleuvenbergen. 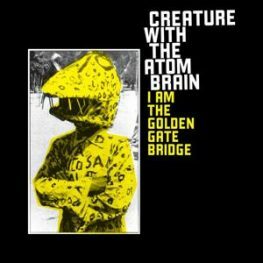 In 2007 Creature released their first full length “I Am The Golden Gate Bridge” followed by the sophomore album “Transylvania” in 2009 and a third full album “The Birds Fly Low” in 2012. 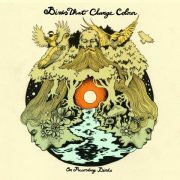 While their willingness, or rather compulsion, to explore psychedelic territory might have stood in the way of landing them serious airplay, it did contribute to the cult acclaim and fan base they have gathered since and made them a critical favorite with key music press. 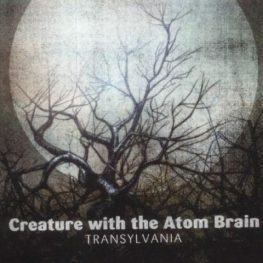 Creature With The Atom Brain have toured extensively throughout the years. Much respected by fellow musicians, they were given the opportunity to share the stage with some of their greatest icons: Queens Of The Stone Age (2008 – Europe), The Jesus And Mary Chain (2008 – Europe / US), The Dead Weather (2009 – Europe), Alice In Chains (2010 – US / Canada) and The Mark Lanegan Band (2012 – Europe), besides playing their own headline tours and festivals in Belgium, Holland, UK, Germany and Austria. It’s with great sadness that we must now witness the demise of the beloved Creature. 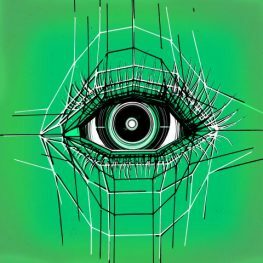 But before the curtains fall on this 10-year chapter – and in celebration thereof – Creature’s founder returned to the origins of it all, a one-man-recording-project, but with numerous contributions from some of his soul mates. Mark Lanegan, who’s been a consistent guest on Creature’s releases, once again makes a splendid appearance. Other guest appearances include Tom Barman. Creature is never more alive & kicking, CD+FREE LP “Night Of The Hunter” on WMR was already SOLD OUT in pre-order! After more than a decade of the best indie/stoner/psychrock Belgium ever had, it’s time to put the legend away & with great pride WasteMyRecords is presenting, after 2 EPs & 3 full albums the last album “Night Of The Hunter” to be released 27/02/2015! “Night Of The Hunter” is the synthesis of 10 years Creature With The Atom Brain saga & where alltime Greatest Friends of Aldo Struyf where asked to take part & write with body, heart & soul what they feel about CWTAB! Tom Barman, Tim Vanhamel, Alain Johannes (QOTSA/Them Crooked Vultures), Big Dave (44 Rave), Danny Devos (Club Moral)& of course his pale Sir Mark Lanegan,the two have been joined in history since Lanegan’s best album “Bubbelgum” /2004 where Aldo for the first time, contributed & since then never stopped! 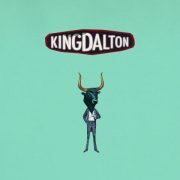 On all Lanegan albums the last 10 years, Aldo Struyf was co-arranger/writer!